The National Hockey League and Montreal Canadiens on November 18th, 2017 hosted an event to commemorate the 100th anniversary of the founding of the League. 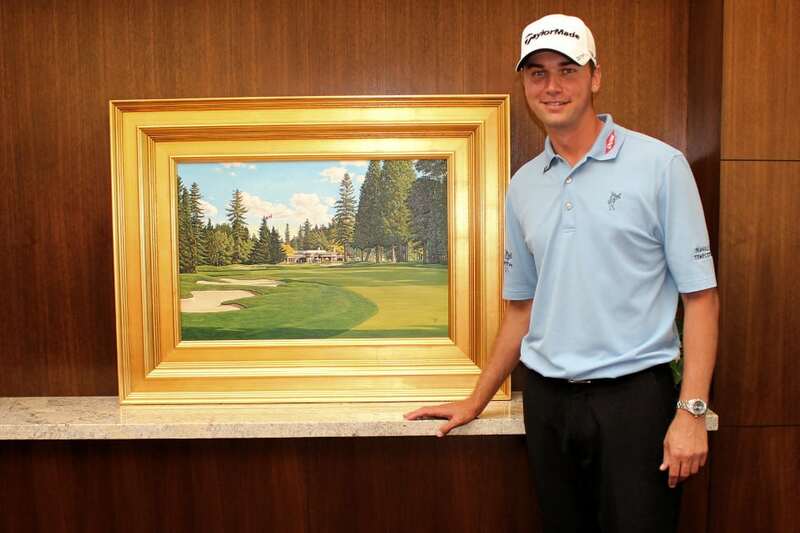 It was the first-ever public display of the 100 Greatest Player portraits done by Tony. Representing the Original Six roots of the NHL, Hall of Famers were Ray Bourque (Boston Bruins), Yvan Cournoyer (Montreal Canadiens), Rod Gilbert (New York Rangers), Dave Keon (Toronto Maple Leafs), Frank Mahovlich (Detroit Red Wings), and Denis Savard (Chicago Blackhawks). The NHL needed 100 Portraits. So Tony Harris got to work. 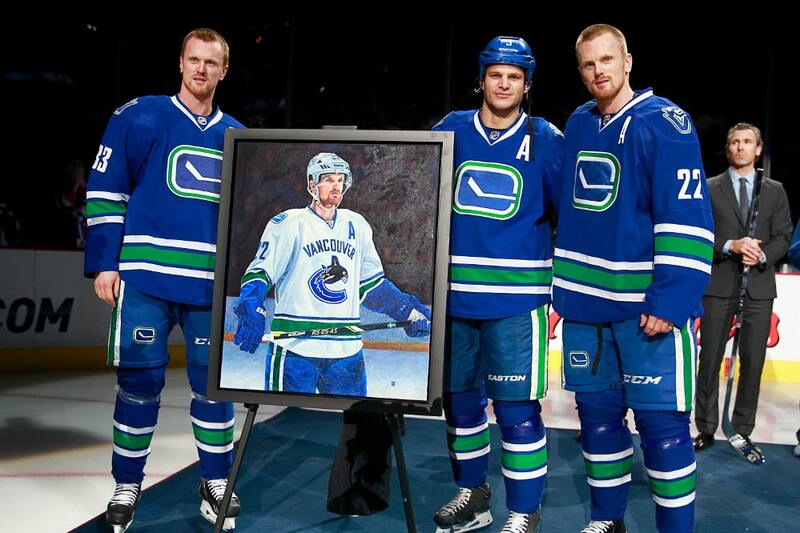 The NHL gives artist the commission of a lifetime. Tony was commissioned by the Chicago Blackhawks Hockey Club to commemorate the team winning three Stanley Cups in Barack Obama’s two terms as the US President. On February 18, 2016, Tony’s good friend and coach of the Blackhawks, Joel Quenneville, presented the work to Mr. Obama in the White House Oval Office. Brittany and Brooke Henderson with Tony. 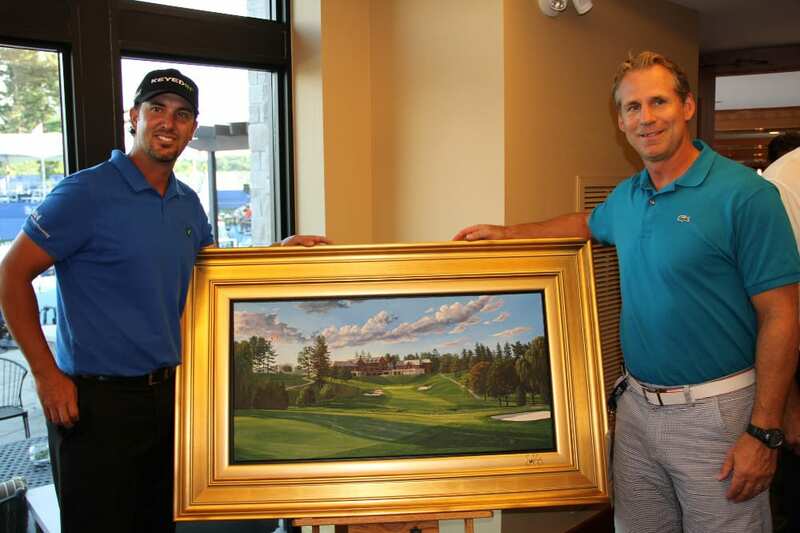 The painting was presented to Brooke as a gift for her participation in the Kevin Haime Kids to the Course Golf Classic. Jean Béliveau graciously signs Tony’s original work of the “Le Gros Bill” for a Montreal charity auction. 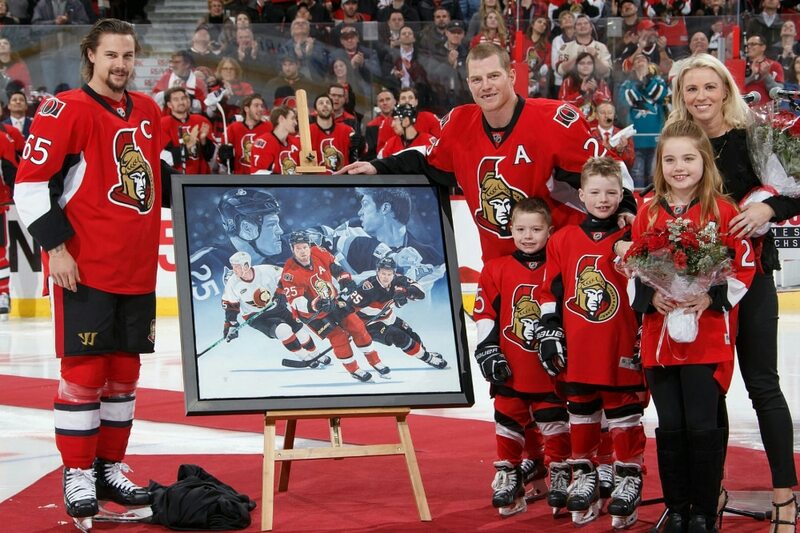 Daniel Alfredsson, Chris Phillips, Chris Kelly and Chris Neale surprise Wade Redden with a painting commemorating his 1000th game before Ottawa’s final season game in Boston, May 28, 2013. 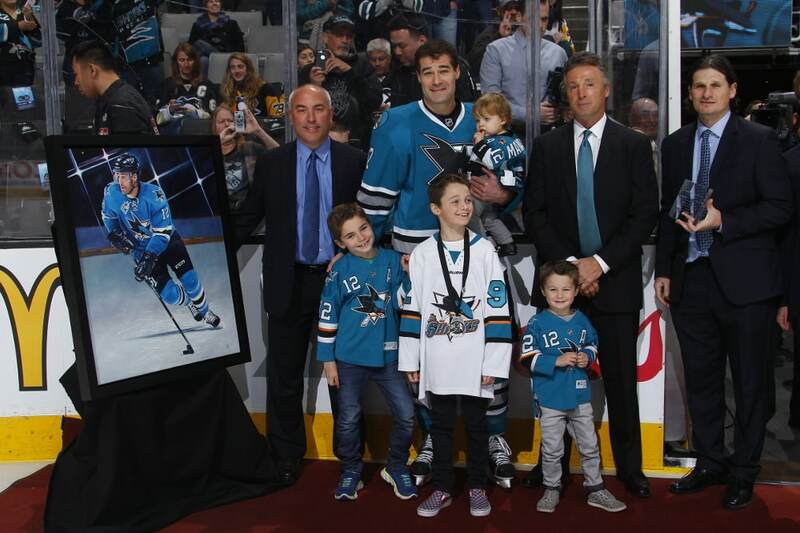 Sidney Crosby with Tony and the painting for winning the Ted Lindsay Award for the 2013-14 NHL season, awarded annually to the league’s most outstanding player in the regular season as judged by the members of the NHL Players Association. Tony with Marin Brodeur and father Denis displaying an original work of Martin at the outset of his career. 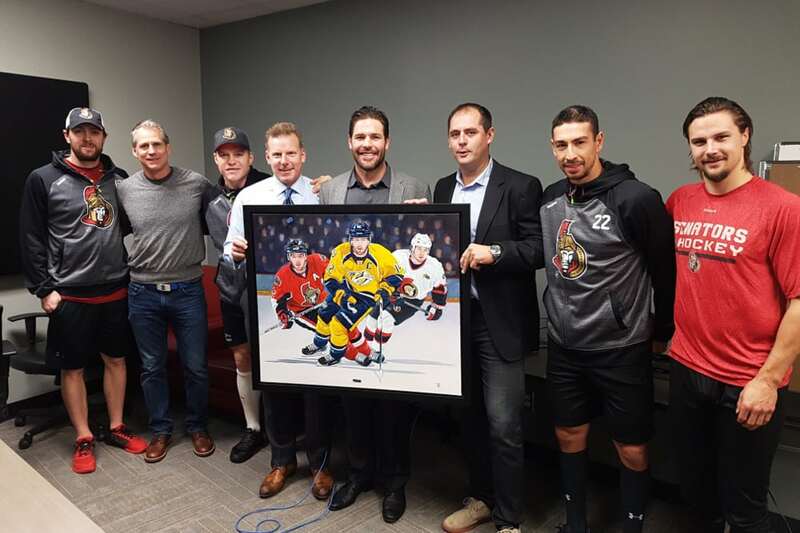 The painting was commissioned by the NHL Players’ Association to commemorate Brodeur’s achievement for the Most Wins by a NHL Goaltender.